Roddick vs Federer Australian Open Semi Final - Australian Open Semi Final tennis match will be played between Roddick and Federer, it looks like Federer will be champion again. This season Roddick looks quicker and stronger when compared to previous tennis matches of him. I think this is because he loss 15 pounds under new coach Larry Stefanki. Most probably my favorite tennis player Federer will beat Roddick and will play in finals. But there is nothing definite, we will see the winner of Australian Open Semi Final when match ends. 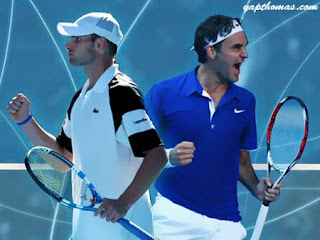 Below you can watch Roddick vs Federer Australian Open Semi Final full stream preview video from ESPN’s official website.